Odario Williams, creator and lead singer of Grand Analog, describes himself and his bandmates as “music nerds.” They’re interested in what year an album was recorded, how it was recorded, and in recreating the idea of sampling. Growing up, Williams was urged by teachers to enter poetry competitions while also expanding in other avenues of creativity. Williams spoke with me on the phone after finishing a sound check for Grand Analog’s Edmonton show. As a bass reverberated in the background, Williams’ deep, calm voice suggested speaking in the a.m. to better hear one another. His cordial and pleasant nature was refreshing; I felt like I was talking with an old friend. He told me he loved Victoria’s cleanliness and the many breakfast institutions to choose from. Grand Analog plays Lucky Bar on Feb. 18 with local electronic DJ Grossbuster and MC Orilla. 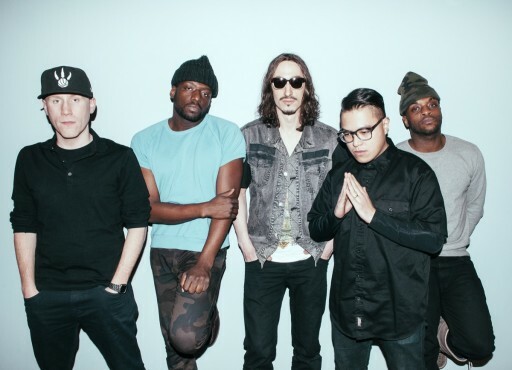 Grand Analog, based out of Toronto, is composed of bassist Warren Bray, keyboardist Alister Johnson (heard on recording), drummer TJ Garcia, and brothers DJ Ofield and Odario Williams. The group blends elements of hip hop, funk, rock, and reggae to create full resonant sounds every set. Living up to their name, Grand Analog uses classic analog gear to create unique, genre-less music. “I Play My Kazoo”, the first track off Grand Analog’s second album, Metropolis Is Burning features a funky, dubbed-out beat and raw vocals blending with the sound of a kazoo. Williams recalls a stand-out moment performing at a rural festival in Ontario. A lady from the audience passed Williams a bag full of kazoos. When we spoke the next morning, the group finished loading their gear and were headed to Banff. Looking for a quiet space, Williams ran into Brendan Canning, a founding member of Broken Social Scene, who was staying at the same hotel. I heard phones shuffling followed by excited “Hey’s!” as Williams and Canning embraced. Listening to their conversation was lovely, but I felt slightly creepy eavesdropping. It was, however, humanizing hearing two musicians share a simple and humble moment. Williams is an individual who thinks before speaking, a trait I find uncommon in people today. Throughout our interview he never hastily answered a question, but instead carefully searched for each word. “A very good friend of mine told me—and this is old practice but it’s only new to me—that if you want something, you have to tell the universe. So I’ve been practicing that. I’m not quite sure if it’s working yet ‘cause this is quite a recent practice, but I have to tell the universe in order to achieve what [I’m] going for. I’ve been whispering to the universe things that I need. So that’s my new thing!” Williams and I spoke until an Edmonton parking enforcement officer threatened to tow the band out of their spot if they didn’t get moving. Grand Analog is different from other Canadian bands because they defy the status quo by being themselves. As Odario Williams says, “We’re different dudes,” and Grand Analog is a musical projection of regular guys who just love music.